Jacob wandered the streets of a Melbourne suburb for many months. A kindly resident fed him, yet no-one was able to approach this timid and shaky stray whippet. It was feared that Jacob would perish on the streets and despite the many attempts to secure him, he always remained out of reach. “Lost dog” bulletins and signs placed in the area and online failed to locate his owner. Having gained Jacob’s trust over a period of time, his rescuer was able to catch him and brought him to The Lost Dogs’ Home, where he was checked over for a microchip. His health was given the all-clear but no chip was implanted. After being held at the Home for the mandatory period, the search was on for the perfect family for him. Due to the poor start in life he had, plus given his shy nature, we knew that a quiet home with predictable routines and lots of affection would help draw him out of his shell and allow him to reach his full potential as an integral family member. 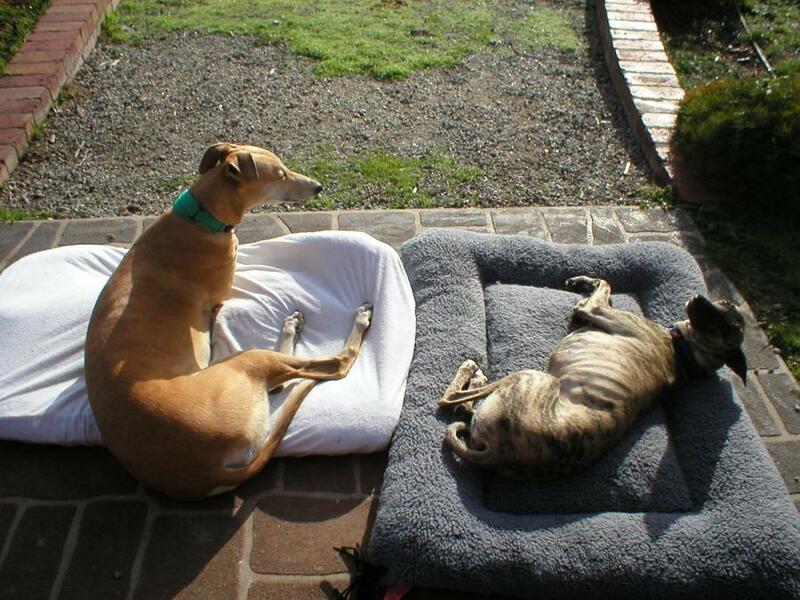 Jacob was featured on Mike Larkan’s Give A Dog A Home, where he captured the attention of the Richards, who were looking to add another dog to keep their greyhound Jackie company. After careful consideration, they decided that Jacob fitted the bill perfectly. Jemina contacted us with an update on Jacob. “Jacob has settled in wonderfully. He and Jackie are best friends and don’t leave each other’s sides. You wouldn’t know him from the shy and timid little man that came home with us such a short time ago. It is with the support of people like you that we can continue to give cats and dogs like Jacob a happy new life. Please donate now to The Lost Dogs’ Home.